Edited to add: We are confirmed for a 10% discount for our guild! Looking for a monthly quilting challenge for the year? Enter the Mighty Lucky Quilting Club. Some of the instructors include: Jacquie Gering, Sarah Fielke, Angela Walters, Carolyn Friedlander, Rossie Hutchinson and more. If you are interested, please email njmqginfo at gmail dot com by January 12th. Is it too late to join the Mighty LuckyQuilting Club? It was a great meeting last night, thanks for all you do! Hi Colleen, I will email my contact and ask but I think it should be fine. Would you please email njmqginfo at gmail dot com with your preferred email address you would want to use for the subscription? They would use it to send an invoice with the discounted rate. We are confirmed for a 10% discount for our guild! If anyone else wants to join, please comment here with a confirmed ‘yes’ or email njmqginfo at gmail dot com. We have 4 confirmed (including you) and a few that are interested. 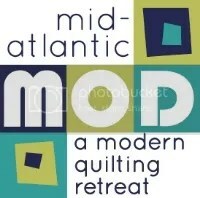 I emailed the Mighty Lucky Quilting Club today to see what the discount is if 10 or less join.